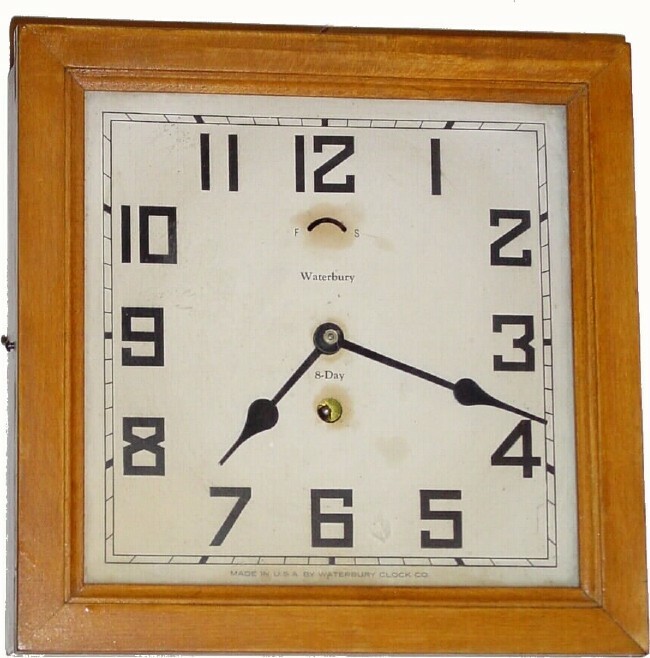 C.1930, Waterbury Clock Co., "Square Lever" 8-day wall timepiece, in very clean condition. The dial has some discoloration around the winding hole and rate scale (very minor). This example was originally painted white and has been refinished to a maple color (looks OK). Retains original label on rear (with paint streak). In good running order. Height.91/4"